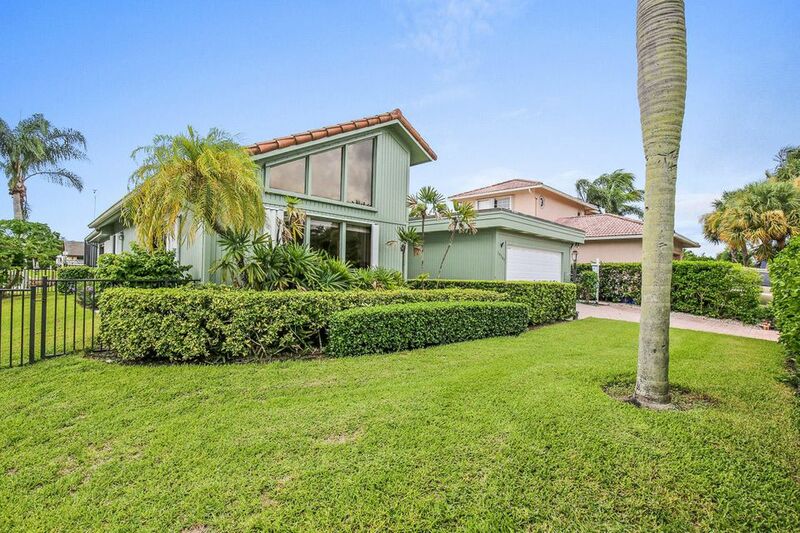 Living on the water in Hobe Sound doesn't have to be uber expensive! This home has so much value! Sitting on the dock you can watch the boats slowly cruise by in the Intracoastal. Jump on your boat and you can head out of either inlets (St. Lucie or Jupiter) or take a little drive out for dinner. With homes listing over $3 million down the street, this is an opportunity to live the big dream but keeping the money in your pocket for the big boat. After a day out on the boat you can drink a cool beverage while floating around the manageable sized pool. Entertaining inside is easy because this home offers many spaces to gather including a larger kitchen with a long bar top and lots of storage.